100% hand made in Morocco by Amazigh (Berber) Jeweler. 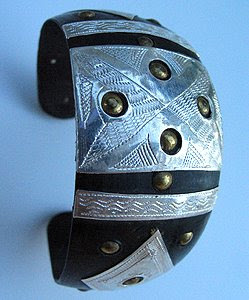 This horn and sterling cuff bracelet has fine engraved motifs. Unique artwork.